Pain in your foot when walking or back pain from bad posture, are commonly caused by the back of your shoes pulling your heels forward. You can correct this by using these Heel Chips inside your shoes. Our Heel Chips tip your heels up and back - in the opposite direction that they are being pulled by the back of your shoes. This signifcantly improves your whole body posture and takes pressure off of your feet and your back. 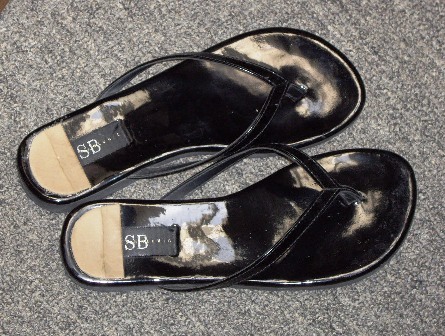 Heel Chips are also useful in sandals and open-back shoes when extra heel height is needed. This also helps stabilize the upper body by improving posture. 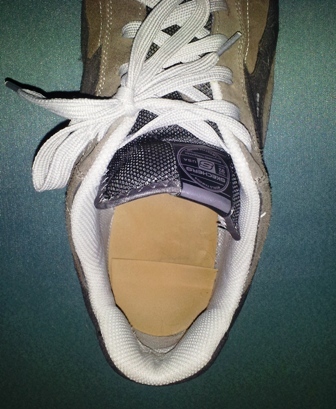 *Our Heel Lifts, Insoles, and Heel Chips are designed to all work together, and can be easily trimmed with scissors, for a perfect fit. Click the button below to add the Heel Chips to your wish list.